You get some massive bonuses when you use VietBet Bonus Code SPOOKY35. Why Bet at VietBet Sportsbook? VietBet is truly a diamond in the rough – not only to North Americans but to also to Asians as it’s one of their top sportsbooks. VietBet is one of the few reputable sportsbooks in the world that offers a dime line. Since it is part of the 5Dimes family, you know you are working with a top-notch sportsbook with excellent customer service. VietBet customer service reps speak multiple Asian languages in addition to English. Signing up with Spooky Express will also entitle you to your own VIP rep at VietBet along with -105 Odds for all Major Sports. You will always find a variety of reduced juice options and the best odds at VietBet. And the service is unmatched, with first-rate customer support and the ability to wager by phone or the Internet. VietBet is the original Asian facing Sportsbook online that has been in operation since 2002. 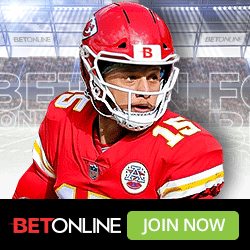 From the start, it primarily catered to an Asian audience by offering support in Vietnamese, Mandarin, Cantonese, and has made a strong effort to expand its sportsbook services to a much broader base of clientele. The sportsbook is licensed out of Costa Rica and maintains the highest standard for prompt payouts, customer support, and player retention. Spooky Express is always working on getting you the best sportsbook promo codes for the sportsbooks we promote. When you use VietBet Bonus Code Spooky35, you will be entitled 35% Sign up Bonus. When you use Promo Code SPOOKY35, you are entitled to several bonuses including the 35% Sign-Up bonus at their sportsbooks. Among other promotions, you can receive are horse rebates and casino bonuses. Only with Spooky35 promo code at VietBet will you receive a 35% Sign Up Bonus for your new account. There is a 6x rollover. You can wager at all the nation's top racetracks and also receive cash rebates up to 9% on all your daily bet volume. Enhance your horse racing action with a special 9% rebate for qualified tracks. You will receive 2% thru 9% rebate based on straight or exotic bets depending on bet and track. No minimum weekly volume requirements and there is no maximum on how much you can earn. Many other additional Bonuses from Casino, MMA and Boxing to contests all month long at VietBet. Looking to log into your account at anytime? If you are someone who is always on the run and needs to access your account from anywhere from your smartphone or tablet, VietBet gets the job done. Placing a wager takes no time at all and you have all the options of depositing money into your account right from your mobile device. Prop betting is one of the more entertaining and unique forms of wagering on many sports. A prop bet, short for proposition bet, is essentially any wager that is not directly decided by the game's final outcome. Open a new account at VietBet with Spooky35 promo code and find one of the largest selections of props available from individual player props, team props, halftime lines, quarter lines and live wagering. Vietbet now offers players multiple options when it comes to in-game betting. All of them offer a wide array of betting options throughout a wide array of events. Check out the following options to see which fits your style. Start playing in minutes by downloading the free online poker software. You will be able to play with other VietBet players as well as other EPN Network players to get the best in games, tournaments and promotions. The Open Waters Poker Room is available to all VietBet Players and is designed to offer the best online poker playing experience. Depositing to your betting account and withdrawing your winning has never been simpler. VietBet offers many of the major depositing methods such as Visa, money transfer, bank wire, Neteller and of course Bitcoin. Looking to use Bitcoin to place your bets? At VietBet, you can now deposit money to place bets using Bitcoin. You can also request payments of your winnings via Bitcoin.